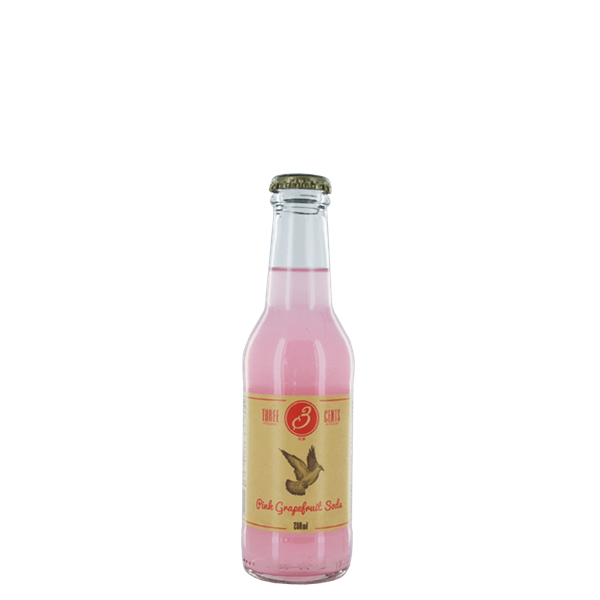 Three Cents Pink Grapefruit Soda is made of carbonated spring water and pink grapefruits. It is a gluten-free pink soda also suitable for vegans. This pink fizzy beverage carries the drawing of a dove on its bottle, also known as Paloma.